After another crazy week of European football, it is back to domestic matters this weekend with the end of the season fast approaching. 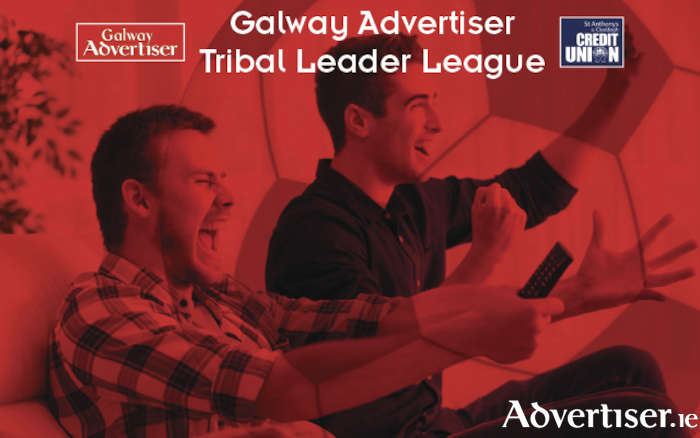 There are only three rounds left of the Premier League and more importantly, only three rounds left of the Galway Advertiser Tribal Leader League in association with St Anthony's and Claddagh Credit Union. So which players should be selected this weekend? The Players' Player of the Year was again magnificent on Tuesday with a brace of goals and a brace of assists in Liverpool's 5-2 first leg victory over Roma at Anfield. On Saturday midday, the Reds host struggling Stoke City. With the Champions League second leg being played next Wednesday, Jürgen Klopp could rest Salah for this league outing. However, I believe Salah will see action against The Potters and he will have an impact on the score sheet. The Spurs' striker broke his mini-drought against Brighton last Tuesday when he found the back of the net for the first time in six league outings, which is good news for the North London side as they battle it out with Chelsea to secure the final Champions League spot. On Monday night Spurs welcome a Watford side who have failed to win any of their last six league games, conceding 13 goals in that period. I expect Kane to get on a roll again and find the back of the net at the national football stadium. Make him your captain for double the points. The Burnley frontman is arguably the Premier League's best kept secret. Barnes has six goals in his last eight league games; a wonderful run for any forward. On Saturday, Burnley take on Brighton at Turf Moor. The Seagulls have failed to win in their last five games as they look to secure Premier League survival. Burnley are pushing hard for fifth spot and a place in European competition for the first time in more than 50 years. Burnley will win on Saturday with Ashley Barnes getting his name on the score sheet. Get him in your team.